While on the hunt for a new book I spotted one that instantly caught my eye – The Farm by Emily McKay. The little blurb on the cover hooked me, just one tiny quote claiming that The Farm was a mix between Resident Evil and The Hunger Games. Obviously that is the greatest combination EVER! So I had to buy this book. Had to! Instead of having mindless zombies, like in Resident Evil, The Farm is about a world overrun by mindless vampires (and more). I couldn’t resist. LOVED it! Well, I loved the majority of The Farm, like most books, it had its rough spots. The blurb on the cover claims that it’s a mix between Resident Evil and The Hunger Games, and well, that’s stretching it a bit. It’s slightly like a PG-13 version of Resident Evil (it is a young adult book after all). And it is about survival like The Hunger games, however, The Farm doesn’t have the power or emotional depth that The Hunger Games does. But is The Farm a good read? Yes, most definitely. The story in this book is fabulous for a YA novel, it was enthralling, and surprisingly believable. The author weaved some actual science into the story, which made it feel like it could be real, like it was possible. Now, post-apocalyptic stories are a dime a dozen lately, and while there were many elements in this novel that have been done before, I think the author did a superb job putting her twist on it and making it her own. I can’t go too deeply into the plot without revealing some big bad spoilers (lots of twists in this book), so I will leave it at that. As for the characters, ugh, that’s an issue I had with The Farm. Some of the characters were cookie cutter. Nothing original or particularly special about them, they could have been from any book. I didn’t feel a connection to them, I didn’t care about what happened to them, they were just there. Except one character – Mel. Mel is the autistic sister, and she’s a fantastic addition to this tale. The book switched back and forth from the point of views of Lily, Carter and Mel. Mel’s chapters are the best, they are so bizarre and complex. I loved that, it was something I have never seen an author do. Mel’s chapters were the ones full of intelligence and depth. The author gets props for that, but it would have been better to have more of that brilliance throughout the book. Another thing I wasn’t happy about was the tiny dash of romance. Ok, it’s a young adult novel, and romance is to be expected. But when I pick up a post-apocalypse book I expect it to be packed full of horror and hellish craziness. Not kisses. Unless they are kisses of doom. But all in all, I thoroughly enjoyed The Farm by Emily McKay. I desperately wish I could go more into how incredible the story is, but I can’t even give away a little without revealing a lot. This is definitely a book I recommend. 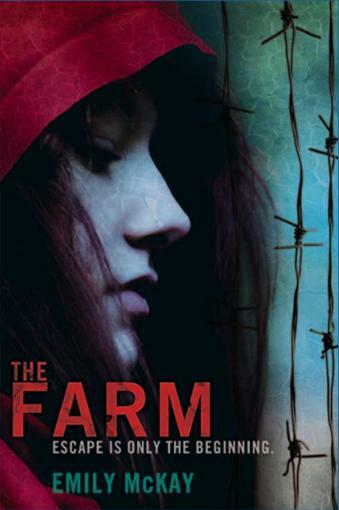 i have never read the farm is it a good read? Did you not read my review? I wrote exactly what I thought of it.